Coachella revealed its 2019 lineup last night (January 2), and while some may have been pleased to see names like Childish Gambino, Ariana Grande and Tame Impala on the roster, others were just plain confused by another festival act — "Gucci Gang." A closer look through the lineup on Coachella's website finds the so-called Gucci Gang accompanied by a photo of Atlanta rapper Gucci Mane. 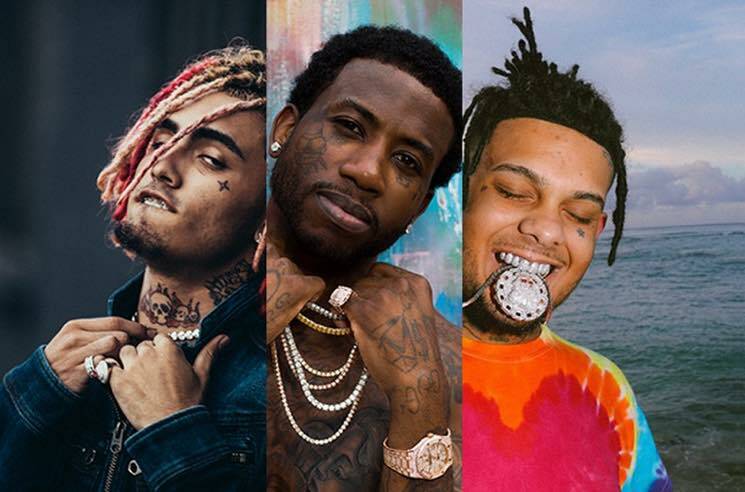 But clicking through the photo to the artist page, it now lists Gucci Gang as Gucci Mane, Lil Pump and Smokepurpp, complete with the image you see above. It's unclear whether the three artists have teamed up to form a supergroup, or if the Coachella organizers can't tell the difference between Gucci Mane and Lil Pump's hit song "Gucci Gang," but either way, Twitter is having a field day with it. Gucci Mane, Lil Pump and Smokepurpp have yet to make any official announcements or comment on the discrepancy, so in the meantime, watch Twitter have a meltdown over the artist possibly known as Gucci Gang below. I Lil Pump just playing "Gucci Gang" For an hour? Is there a band actually called Gucci Gang?